Their perception of beauty is enshrined in their motto - deeper than skin. It means beauty that goes beyond external appearances. It is beauty wrought from health, love of life, warmth and summer, which you carry with you and is seen by everyone you meet on your way. The store has been created using environmentally friendly paints and economic light bulbs. The store's furniture, wallpaper and décor have all been produced in Latvia. 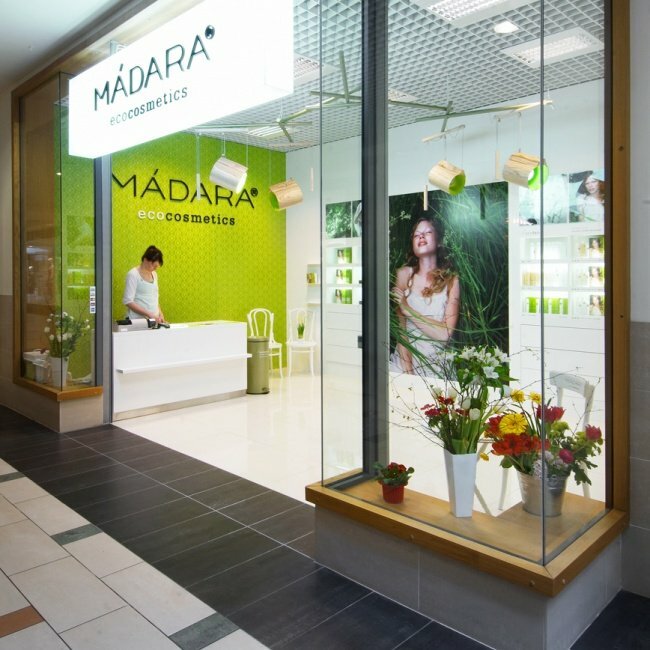 MÁDARA is particularly proud of its ceiling lamps which were produced by the new Latvian lighting designer, "mammalampa".